As we approach the end of the year (and yes, like you I’m thinking where exactly did the year go? ), I’ve been doing a lot of planning for next year. 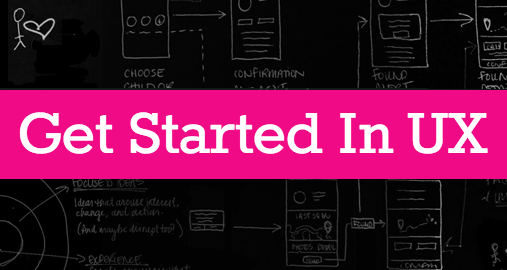 One thing I know is that a lot of people want to know how to get started in UX. One thing that I’m quite passionate about is teaching. In fact, my first teaching gig was teaching piano lessons to children when I was in high school. A few years ago, I co-developed the curriculum for and taught the first 12 week course on user experience design for General Assembly. General Assembly’s had a lot of success with the long form courses and there are many more topics offered around the world. My experiencing the General Assembly course on user experience design was fantastic and I really loved interacting with the students and seeing them develop their own product ideas. Shortly after that, I decided to go out on my own and work independently. Unsurprisingly, the hustle of working for myself didn’t leave much time to devote to teaching. But the good news is that in the last few months, I’ve been getting back into teaching!! A few weeks ago I just wrapped up co-teaching a course with Femgineer (an education startup founded by Poornima Vijayashanker, the founding engineer from mint.com). I’ll continue to teach with Femgineer during 2014. But, I’m also excited to be developing my own course more focused on user experience and how to get started in user experience. For the last few months, I’ve been writing a weekly series on my blog about Getting Started In User Experience. I’ve realized that there is a huge hunger for education around user experience. A lot of people want to get started in UX. I’m guessing this is for two reasons. First, there are a lot of people who want to get into user experience as a career. Second, is that more people are realizing the important of user experience to a product and brand’s success and as a result are wanting to gain a better understanding of how they can apply user experience thinking to their product, team, or organization. What exactly will the course be? Well honestly, I don’t have that figured out yet! To start, I’ve launched a landing page where you can sign up to learn more as details come together. My main goal is to see how many people are interested in a course about getting started in user experience and learn more about who these people are. So, if you’re interested in getting stated in user experience, head over to www.getstartedinux.com and sign up (and yes, I’m still in shock that the domain was available!!!!). Also, I’d really love it if you could share with me what specifically you’d like to see in a course about how to get started in UX. Are you someone who wants to make UX a career? Or, are you someone who doesn’t plan to do hands on UX, but wants to gain a deeper understanding of how UX applies to business. Leave me a quick comment and share your questions and ideas! I promise I’ll read every one and will use this to shape what the course is about! PS: Don’t forget to sign up over at www.getstartedinux.com so you can be the first to know when details about the course are release.